Attack 1 : Super Mario Bros.
Flip a coin. 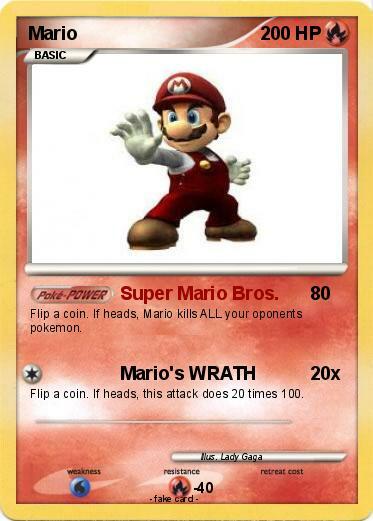 If heads, Mario kills ALL your oponents pokemon. Flip a coin. If heads, this attack does 20 times 100.